Toms River police are searching for a man who allegedly robbed a gold necklace off the neck of a 76-year-old woman in the parking lot of the township’s Walmart store. The woman, a Whiting resident, had just finished shopping and was putting the merchandise in her car when the man approached her from behind and forcibly tore a gold necklace from her neck. He then fled on foot through the parking lot and traveled south over Route 37, Toms River Police spokesman Ralph Stocco said. The woman was not injured during the theft. Surveillance images were obtained and the suspect was identified as Michael Bowerman, 32, of County Avenue in Secaucus, Hudson County. Bowerman has not yet been apprehended and is wanted by police in connection with the incident. Although his listed address is in North Jersey he has many ties to Toms River and the Ocean County area, Stocco said. A second white male was seen with Bowerman and is wanted for questioning, Stocco said. 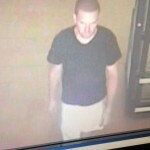 At the time of the incident, he was wearing a black tee shirt and light colored basketball shorts. Anyone who can identify the unknown man or the whereabouts of Bowerman is being asked to contact the Toms River Police Department at 732-349-0150 extension 1002. 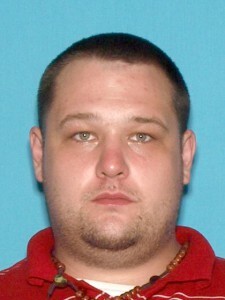 Additional information can be sent to Detective Steve Bucci at extension 1300.